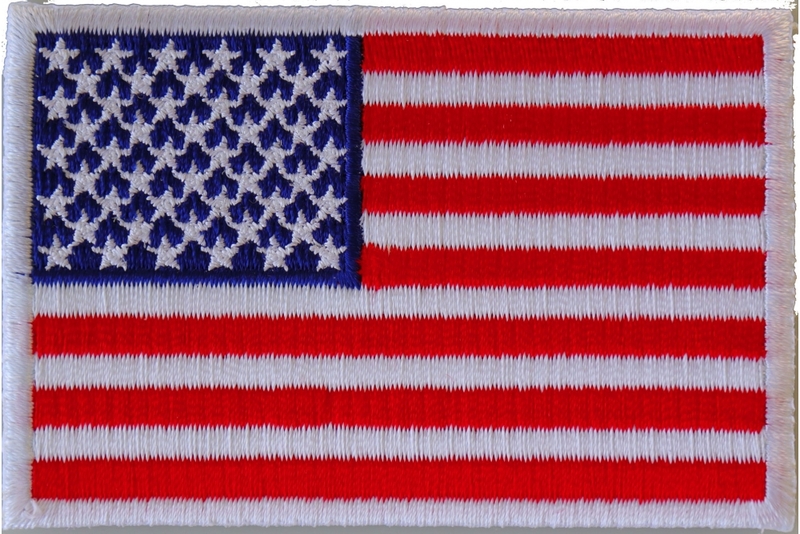 Another American flag patch which measures 3x2 inches. 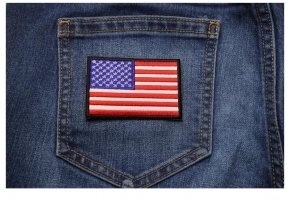 The small US Flag patch features white borders. If you want to show how much you love your country, one of the easiest ways is to add an American Flag Patch to your jacket or vest. But which patch do you want? There are so many choices, traditional flags, black and white flags, reflective patches, The Cheap Place has many choices. If you want something traditional, the U.S. Flag Patch - White Border version is a good option. 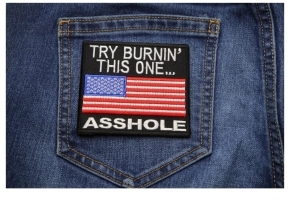 This patch presents a fully-colored flag with a die cut white border around it. 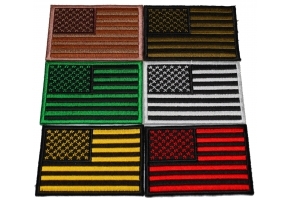 Flag patches with black borders and yellow borders are also available. 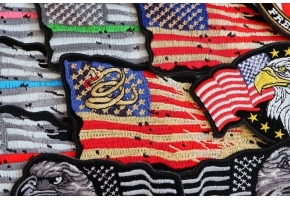 This patch faithfully recreated the U.S. flag, including featuring the 13 stripes and all 50 stars. The colors are bright and vivid, and they show up very well on almost any type of clothing and on all colors. 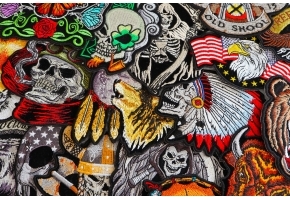 Even though the borders are white, you don't necessarily have to put this patch on a white jacket. In fact, the white borders will help draw attention to the patch if you put it on black. Why is there a border at all? It's so you can more easily sew the patch onto leather. If you didn't have a border, the thread would stand out against at least one of the colors. For example, using red thread would look fine with the red stripes but would look odd on the blue field of stars. With a border, you don't have that problem. This patch measures 3 inches by 2 inches. If you're putting it on anything other than leather, you can iron it on by pressing it on your clothing. The heat will activate the plastic backing, affixing the patch to your clothing permanently.